If there’s one thing the Marvel Cinematic Universe has excelled at, it’s making household names out of characters who were largely unfamiliar to the mainstream before they showed up in their current iterations. Think about it: Only Hulk and Captain America had really enjoyed major pop culture exposure in years prior, with Iron Man, Black Widow and Thor having been relatively unknown to those who didn’t read comics. There were cartoons, sure, but not all caught on. But in the time since 2008, all that’s changed, as yet another crop of heroes consisting of the Guardians of the Galaxy, Doctor Strange and Black Panther have achieved similar heights. So, naturally, one would assume that many others are waiting for their chance to shine, chief among them being Moon Knight. Um, can we put in a request that he be introduced much sooner than 10-15 years from now? I mean, Moon Knight is kind of obscure, but he’s not that obscure! Even James Gunn pitched an idea involving the character some time ago, but we’re guessing that ship has sailed. Personally, I always thought that a darker hero such as this would be more suitable for the Netflix initiative, a sentiment that I know I’m not alone in harboring. Really, you have to admit that such a series would make a great companion to Daredevil and The Punisher, but I’m not making the decisions. 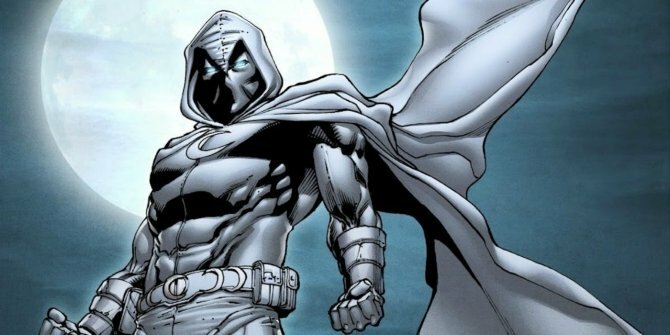 Tell us, would you like to see Moon Knight in the MCU ASAP? Or do you think others deserve the spotlight? Sound off in the usual place below!